You're busy. You're not sure you have the time, energy or finances to make less waste happen. I get it. But we can all start somewhere, take baby steps. Introducing even small lifestyle changes in the daily whirlwind can feel so good. Not to mention, reducing waste saves you money and contributes to a healthier planet for your little people to enjoy as they grow. Even baby steps make a difference to your family and to the planet. Reducing waste and living an environmentally friendly lifestyle isn’t just for those who can afford it. And you don't need to live in a hipster neighbourhood, need to expend extra energy or spend hours getting creative. Is totally achievable and accessible for busy mums. I admit, when I get an idea in my head I become more than a little fixated. And my mum and husband will tell you: I do not always choose the easy path. I’m sure others would agree that with a brand new baby (our 3rd ) — which now equals three kiddos under 4.5 years— this may not have been the best time to start a journey to reduce our family’s garbage. But actually there is something about a new life, a new presence in the world, that makes life seem so beautiful yet so fragile. You start to think about your children’s future: what shape will the planet be in in 20 years? How can their childhood influence their relationship to nature and the environment? Reading posts about the zero-waste movement inspired me, but I had to be realistic about my capabilities. In order for things to be sustainable, they needed to be easy and cheap to implement and maintain. That was over a year ago. I started by taking baby steps. I’m now completely hooked and it’s happening! If you can do some of these 5 things most of the time, then you truly are making a difference. Remember, it’s all about baby steps. When I’m trying to hustle out the door, ensuring I have 3 kids, 6 shoes and my purse is challenge enough, never mind trying to remember to bring along my grocery bags. To make it easier, I recommending keeping a stash in your diaper sack. 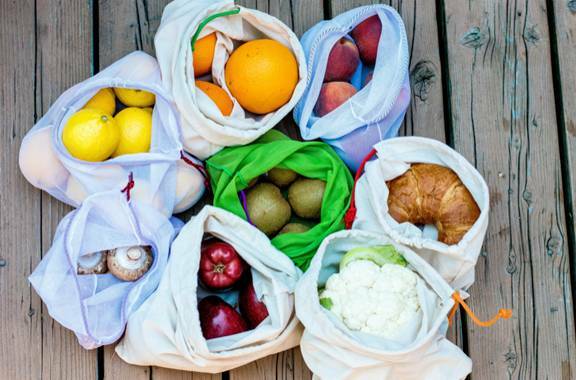 Take it one step further by using cloth mini bags: small cloth or mesh bags you can use instead of the plastic ones provided when buying your fruits and vegetables. When needed you can just put them in the washing machine. Ikea has even started selling them. By using your own bags you can save 5 to 10 plastic bags per shop, and get to leave the store with a very satisfying feeling. It doesn’t take any longer and kids love being given a bag and a job (“Theo we need six lemons. Isla four avocados”). 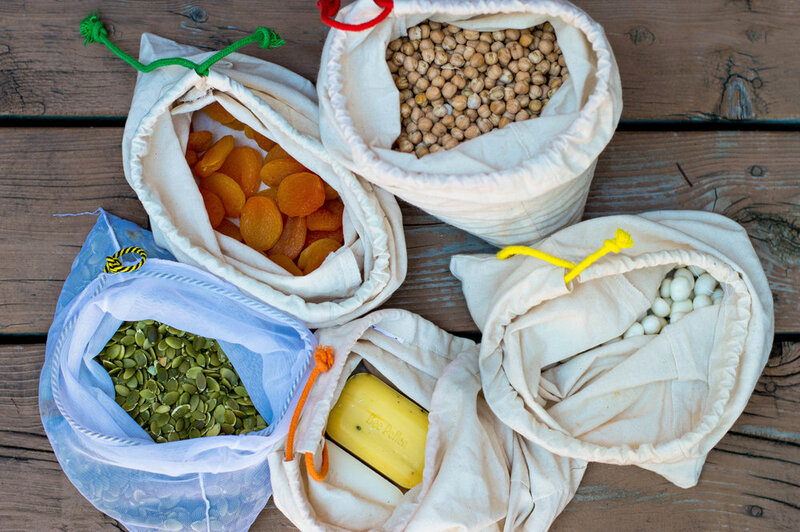 I feel really proud loading my cloth bags full of veggies on the conveyor belt or using my own bags at farmers markets. Who knows, you may even inspire the guys next to you! Ah water and coffee: the lifeblood and survival essentials of a busy, exhausted mum. You don’t need to spend a fortune on these; l do love my stainless steel bottle from Klean Kanteen. It's super safe and durable. No BPA’s and if loved they can last for years. But if you don’t fancy a splurge there are so many others on the market, or even better: use what you already have. Not only will you reduce the waste caused by plastic water bottles and paper/foam coffee cups, many coffee shops offer a discount if you bring your own container and you’ll save money by using the tap/fountain instead of buying bottled water every time one of your crew needs a drink. Not just for the kiddies lunches - also a great idea to pack yourself a mummy snack for the day. It saves you money buying food in bulk to put into the lunch box. You create a lot less trash and eat healthier by avoiding the impulse to buy something pre-packaged when peckish. By using cloth napkins and wash cloths to wipe your little people’s sticky fingers and clean counter tops, you save money and produce less for the landfill. Not to mention, cloth napkins are so posh! Easy-peasy: choose products with less/no packaging. 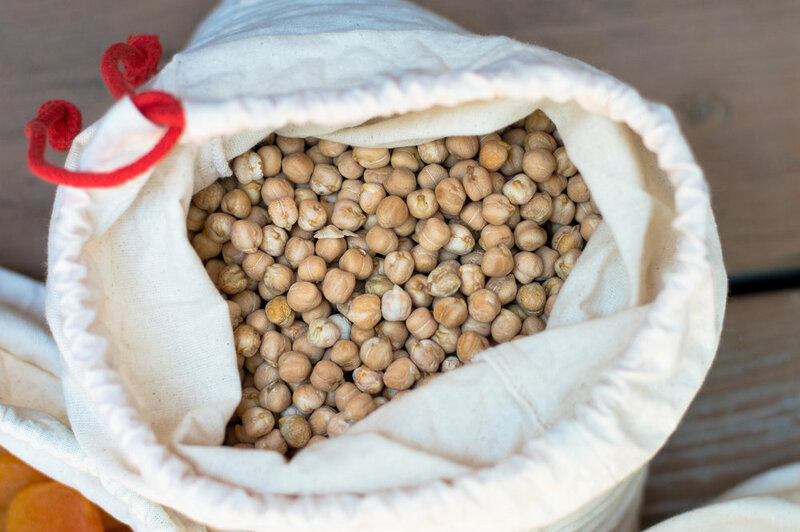 Try visiting farmers markets/bulk stores if you have them available. But if you don’t, choose to buy the apples loose rather than prepackaged in a bag of six. Ok mama you got this, we all have to start somewhere! Check in next week for more easy tips and ideas on how your family can waste less. This blog is brand new why not head over to our About me page to learn a little more about our family. Or love a good short story with a cup of tea check out Our little love story, A post about how J and I met. Inspired? I would love to hear about your journey to reduce your families waste.